Millions of people across Iran and other world countries are gathering for the International Quds Day rallies to show their solidarity with the Palestinians and condemn Zionist regime’s decades-long occupation and atrocities. According to Press TV, in Tehran and other Iranian cities and towns, people from all walks of life are taking to the streets for the annual event which falls on the last Friday of the Muslim fasting month of Ramadhan. The International Quds Day is a legacy of the late Founder of the Islamic Republic Imam Khomeini (God bless his soul), who designated the day in solidarity with the Palestinians. 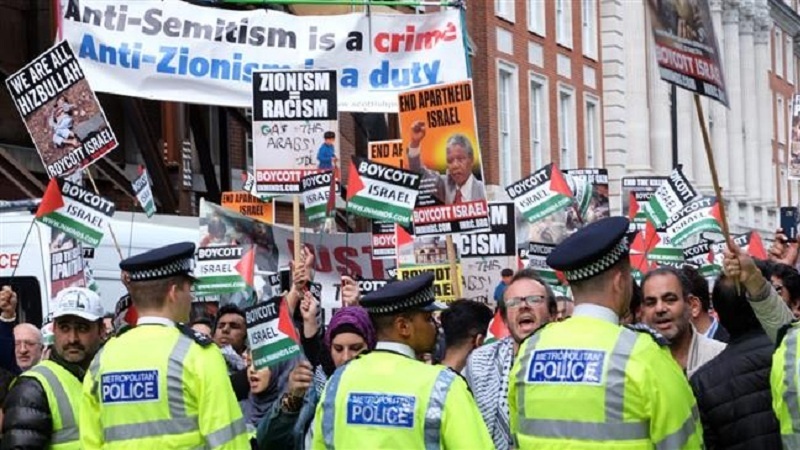 This year, Quds Day has become a larger rallying cry as it comes after months of mass protests in Gaza which proved Zionist regime’s inability to stop the Palestinians despite widespread use of deadly force against unarmed protesters. Since late March, over 120 Palestinian protesters have been martyred and thousands more wounded by Israeli forces, mainly sharpshooters. The Israeli military has come under intense international criticism for permitting its forces to open fire on unarmed protesters in Gaza.